Please note that this event takes place offsite. 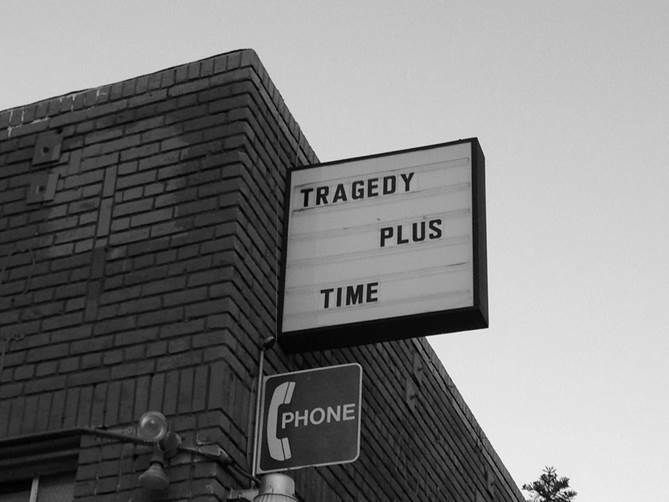 Punctuating Tragedy Plus Time's ongoing series in which six artists show “one work” in turn, Public Fiction presents a special night of stand-up comedy. Six comedians will take the stage, occupying that charged frame of performance otherwise filled by the artists’ works that stand in for performer or performance during the exhibition. Featuring comedians D’Ette Nogle, Kate Berlant, James Adomian, Byron Bowers, Eric Andre, and Maria Bamford. Tragedy Plus Time is the offsite exhibition concurrent to A Public Fiction set at the Hammer Museum and both organized, symmetrically, as Public Fiction’s Made in L.A 2014 contribution.